I do a lot of reading, on a very regular basis. It is pretty hard not to while studying creative writing. It is also pretty hard not to when you just love to read. Admittedly, I bring a book with me just about everywhere that I go. I tuck one into my bag, or let it have the passenger seat in my car. Just in case. Just in case I have a few moments. Because, well, I read, a lot. More than that, I read a lot at one time. I'm currently reading five books. Not all at one time, of course. But yes, five books. 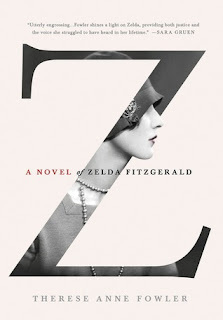 The Great Gatsby, by F. Scott Fitzgerald: Because, who isn't? But also because it is an amazing story, and because my brother is a good, good, brother, and procured me a copy from 1995 that I have been searching for for ages. The Awakening, by Kate Chopin: Also, a reread, and also a treasured copy. This one though is from my favorite used book store, and it's the 1985 edition. Swooon! 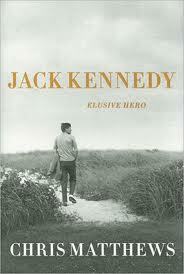 Jack Kennedy: Elusive Hero, by Chris Matthews: I have read a lot of Kennedy lit, as most everyone knows. This book though, I cannot say enough good things about it. Matthews clearly did his work for this, and he really does (or his ghostwriter, either) paint a phenomenal picture of Jack. Brothers, by David Talbot: A RFK/JFK non-fiction piece, the first that I have read. This book, while very interesting, and incredibly informative, is a hard read, and in part, this is why I've got more than one book going at once. Mrs. Kennedy and Me, by Clint Hill: Openly written inconjunction with a ghost writer, this story, told by Mrs. Kennedy's head of Secret Service detail is rather different from all the other portrayals of her I've read. However, because it is told from his perspective, and a good deal is in his words, it is incredibly... basic, and one more reason while it is something I am reading in passing. While I could say my to-read list is endless (as it is.) To be a bit more specific, I have seven books that I would like to finish before the summer's out. Now, that's only 13 books (yay, math!) but in fairness, I could list another thirty that I would read/get if I had the time/money. And on the off chance you may want to know what's up next on my docket?